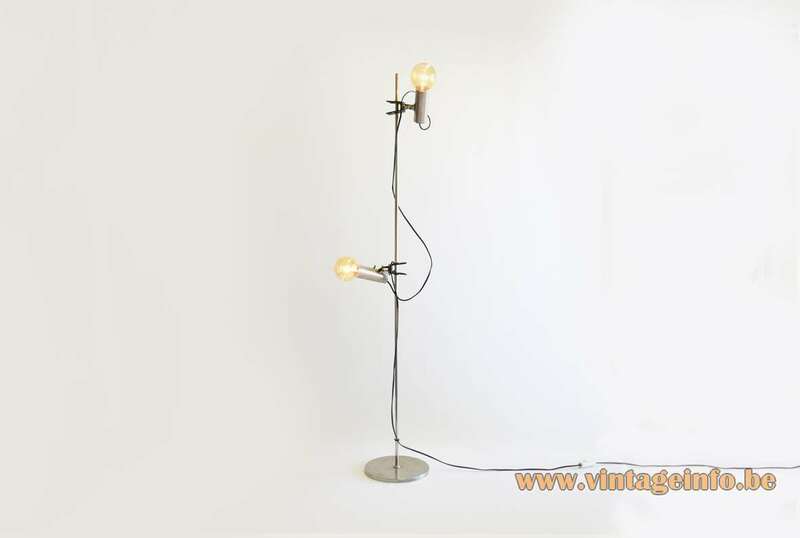 This floor lamp has many similarities with the floor lamp designed by Renato Forti & Angelo Ostuni for the Italian Oluce company in the 1960s, the model 399 floor lamp. The 399 has only 1 bulb, a Cornalux light bulb. The Cornalux is a side mirror globe bulb. 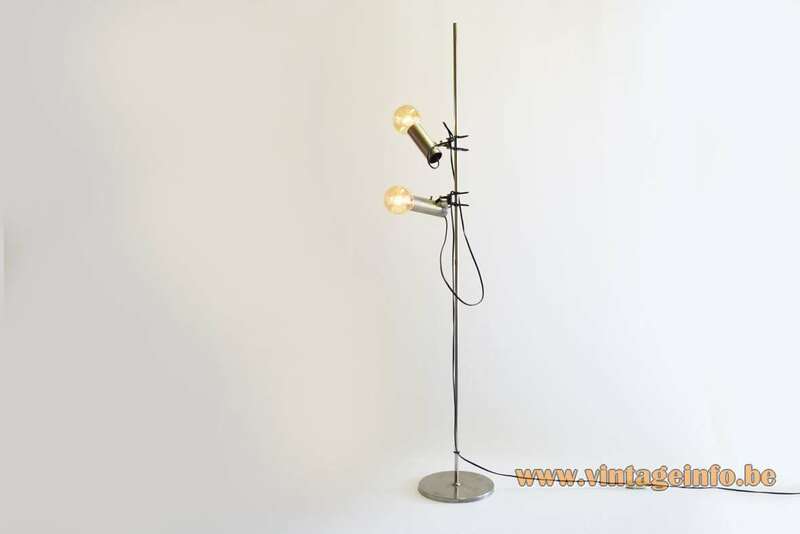 The Oluce Cornalux with its famous “hammerhead” is symbolic of some of the most famous lamps made by Oluce, such as the “Agnoli 387” designed by Tito Agnoli in 1954 and then in 1965, the “Spider” series by Joe Colombo. 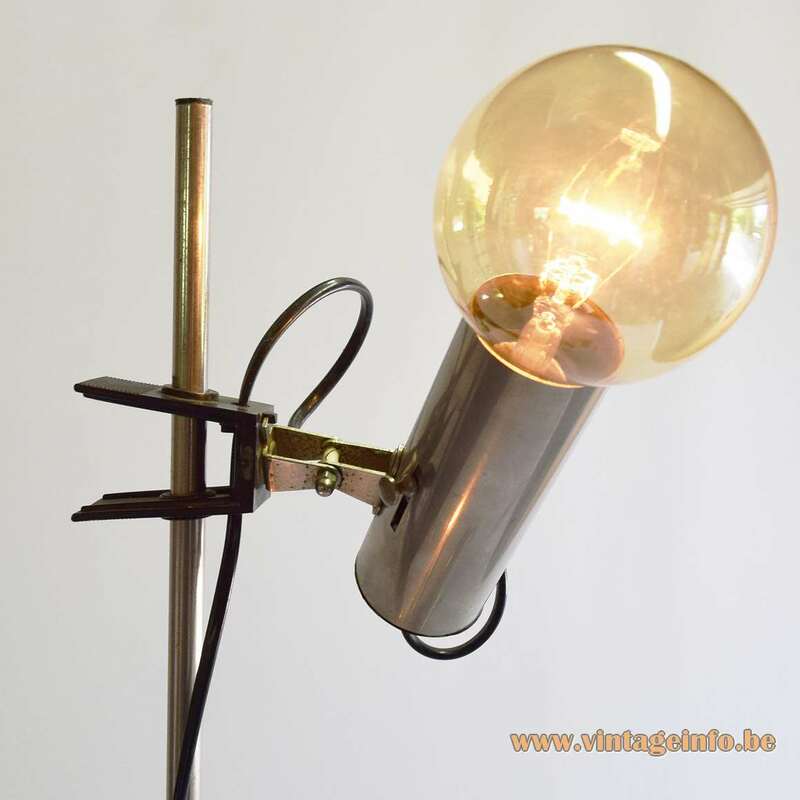 The Cornalux lamp is still available. Materials: Chromed metal (iron) round base, cast iron counterweight inside. Chrome rod in two parts. Black plastic clamp/clip. Some metal parts. Chrome lamp holder. Bakelite sockets. 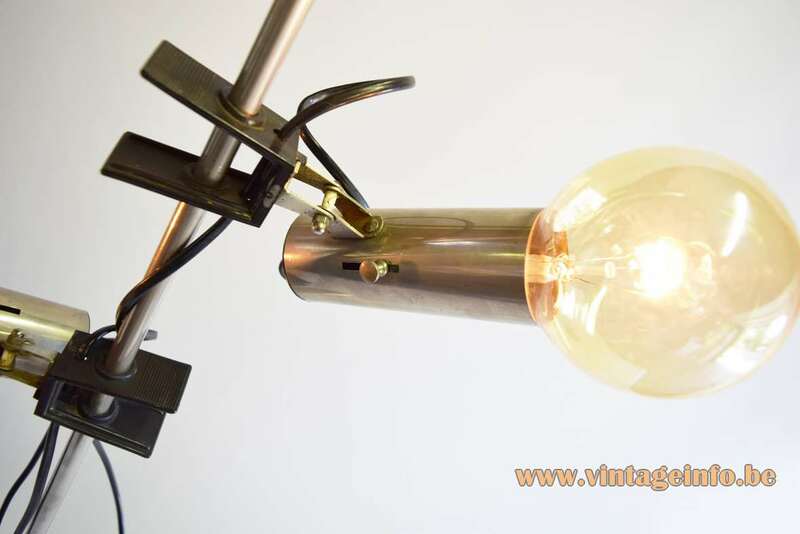 Electricity: 2 bulbs E27, 2 x 60 watt maximum, 110/220 volt. Any type of light bulb can be used, not a specific one preferred, but probably intended to use with globe bulbs or spotlights. 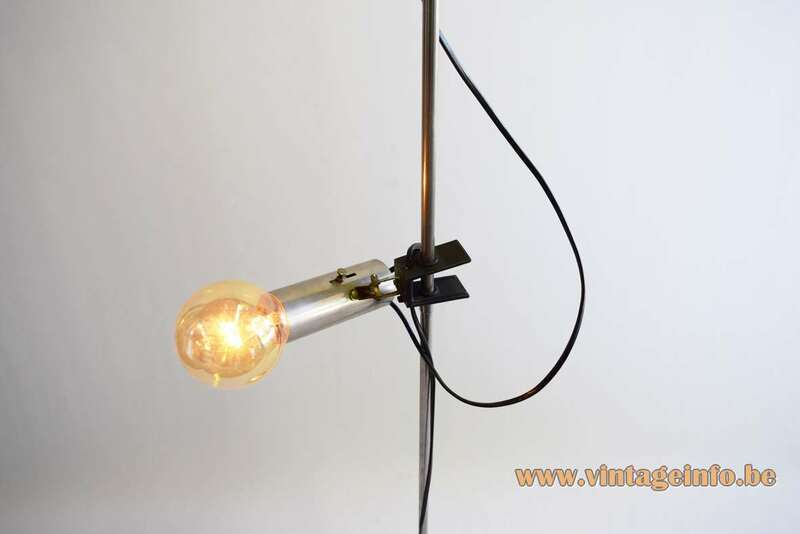 For this setup semi-globe yellow light bulbs were used: the original bulbs of this floor lamp. Designer: To be appraised, after a design by Renato Forti & Angelo Ostuni. Manufacturer: Targetti Sankey S.p.A., Via Pratese, 164, 50145 Firenze, Italy – attributed. 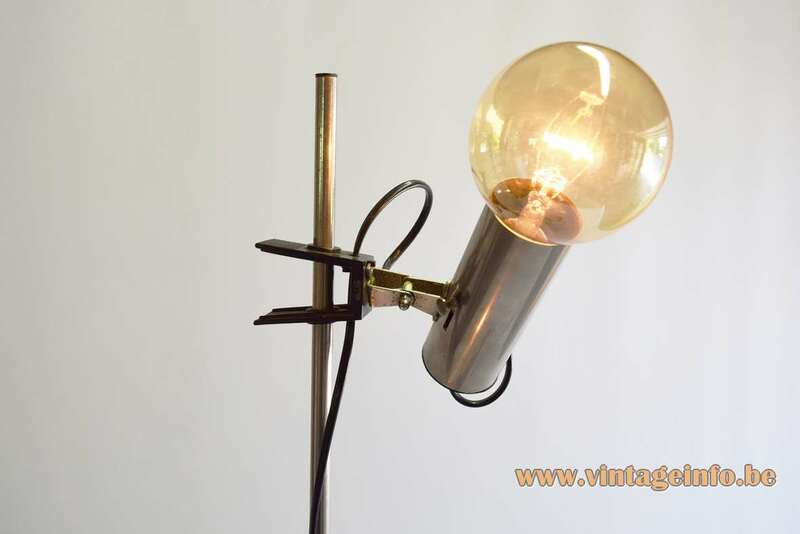 Other versions: At least also made as a table lamp. These type of clamps were used for many lamps by several companies. You can find a few examples in the links on this page. 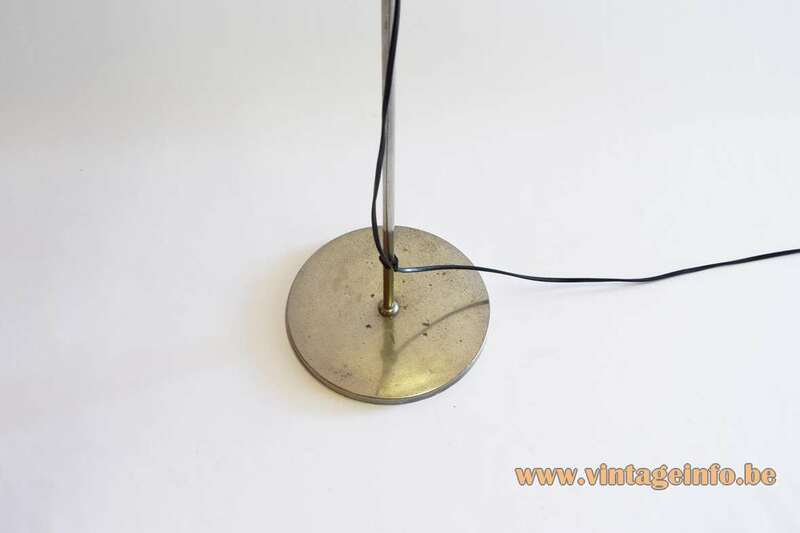 The rod of this lamp is made of two parts, probably it was sold in the box. Targetti Sankey S.p.A. was founded in 1928 by Sankey Targetti as a family business. His son Paolo was the second president of the company. Today his grandson Lorenzo succeeded Paolo in the chairmanship of the group, and Stella, his granddaughter, is the vice president of the Tuscany Region. 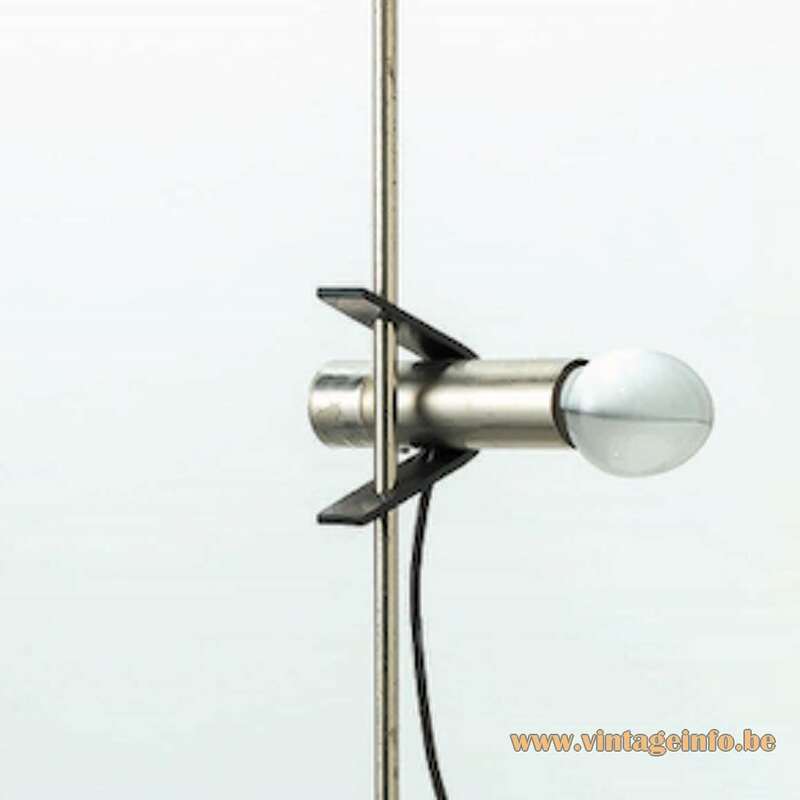 The company has been designing and producing indoor and outdoor architectural light fixtures ever since. The company specializes in lighting for large exhibition spaces. For example the lights used in the Galleria dell’Accademia di Firenze (Gallery of the Academy of Florence) to illuminate the world famous statue of David, made by Michelangelo Buonarroti (1475 – 1564), were a gift by Targetti for the museum. Also the Academy of Fine Arts (Accademia di Belle Arti) in Firenze is illuminated by Targetti. 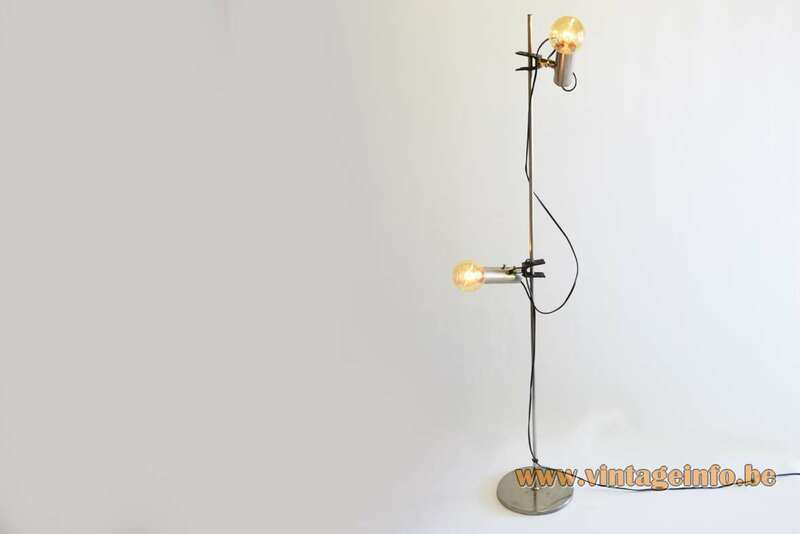 Paolo Targetti (1937 -2010) worked for the company since 1960 and has been working on the management’s commitments with an enthusiastic activity in the field of design of lighting and communication equipment. He was president of the Targetti Sankey S.p.A. company since 1985. For some years Targetti was president of the L’Accademia di Belle Arti (Academy of Fine Arts) in Florence. Targetti was appointed President of the Industrial Association of Florence (L’Associazione industriali di Firenze) in 1987, member of the “giunta nazionale di Confindustria”, the Confederation National Council, since 1991, runner of work since 1992, president of the scuola di Scienze Aziendali, the School of Business Science in Florence from 2003 to 2010. From 2004 to 2007 he was chairman of the National Association of Lighting Manufacturers, the L’Associazione nazionale dei produttori di illuminazione. Since 2008 he was president of the Academy of Fine Arts in Florence. In 1998 Paolo Targetti and Targetti Sankey bought the Villa La Sfacciata in Firenze, Italy. It houses the Fondazione La Sfacciata Lighting Academy, the home of the Targetti Light Art collection, headed by Amnon Barzel. The Foundation is dedicated to promoting lighting research, the diffusion of light culture and commissioning works of art to contemporary artists made with the use of artificial lights. The Villa La Sfacciata is located in via Volterrana 82, on the hill of Giogoli, near the Certosa di Firenze. Website of the museum of healt – virtual museum tour!